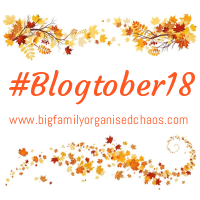 How could today’s #Blogtober18 prompt lead me to anything but the faces of these three? Loving these three from way before they were born, right now and forever more. And I’m also still loving these photos taken by the fabulous Merika Green back in April at Moot Hall near Market Rasen in Lincolnshire as part of a portfolio update for Faith’s agency Zebedee Management. Undoubtedly skilled with a camera, she also managed to keep the three of them sat together happily – magic powers indeed! Both Laura and I have a background in working with young people and adults with disabilities and additional needs and the media industry too. Laura is a qualified social worker and mummy of a child model and I’m a qualified FE lecturer, specialising in teaching performing arts to people with disabilities, I have also worked as a model myself for over 20 years. Laura and I came up with the idea for ZM on a winter walk on the beach. I remember being so frustrated at the lack of opportunities my very talented performers have. It really was a lightbulb moment… we realised that if no one else is going to look to champion disability diversity in fashion and the media, and create opportunities for people with disabilities in this industry, then we will! As directors we oversee the whole of the agency, from working with clients, booking artists and scouting for new talent, and working hard to get our name out there and ensuring the bookings are coming in for our talent. We are a social enterprise, so another important part of our work is developing a community for our members, providing training and development opportunities and developing awareness campaigns. Working with those who have disabilities means we have a responsibility to them beyond their bookings. We take extra time to work closely with clients, artists, parents, carers and service providers to build a transparent, trusting relationship and to manage the expectations of everyone involved. We put in a huge amount of time and energy into ensuring their talent is supported and protected throughout the casting and creative process. We attend shoots to alleviate anxiety, hold workshops to better understand vulnerabilities and strengths, build confidence and support the families with community social media groups. We have a long way to go but our passion and drive has only grown and grown and to think we have helped some incredible people realise their dreams makes us so proud. The support we have been receiving recently is wonderful too – Emma Gardner from ELVIS ad agency says: “ I want to talk about the unsung heroes, the two women that helped cast the recent models you have been seeing in some huge campaigns, two women that are doing brilliant work in driving real change behind the scenes. We are now 18 months old and the company is still in its infancy but momentum is truly gathering, we have now had models booked for nearly all of the major high street brands, including the groundbreaking River Island campaign, Marks and Spencer’s, Mothercare and Matalan. We have had models featured in Hunger magazine by Rankin, walking in London Fashion Week, starring in several of the big soap dramas and loads more bookings by forward thinking companies. We work tirelessly to make a positive change not just for our models lives but to a world wide audience in the hope we can breakdown barriers and see a more inclusive representation of differently abled people in the media and fashion worlds, to normalise what is possibly the last taboo. Scars are very rarely made the focus of a camera lens, let alone in a positive light. But one photographer aiming to adjust our gaze to these natural signs of healing is Sophie Mayanne. Her Behind the Scars project aims to celebrate the beauty of these apparent flaws – “a badge of victory in a fight, recovery from an accident or illness, a long awaited ‘fix’ Behind the Scars is a celebration of beauty, of flaws, of battles won and obstacles overcome. It is about survival, living beyond that and capturing the memories” – and to provide a platform for the stories that accompany them and the people they adorn. And what stories she has uncovered! A quick glance at her Instagram account and you are welcomed into worlds of treatment of congenital conditions, fighting life-threatening illnesses, suffering severe burns, overcoming issues with self-harm, recovering from traffic accidents, the results of acts of violence and even survival from a gas explosion. Along with all their individual roads to self acceptance. We are honoured that, through her involvement with Zebedee Management, Faith has had the opportunity to take part in #behindthescars and her photograph and experiences featured alongside all these stunning stories. The youngest person so far to take part in #behindthescars, this is what we wrote for her. “Faith had open heart surgery when she was nine months old. That part of her life story will be forever written on her skin by the keloid zipper scar that is still healing, even though she is now already one year old. “When she was recovering in Glenfield Hospital, Mummy was speaking to one of the cardiac nurses about Faith being signed up by Zebedee Management, who asked if they would show her scar. “#BehindTheScars means we can now tell her that they’re not just showing it, but celebrating it. Celebrating it as a testament to that nurse’s loving care, and the immense skills of her colleagues, and Faith’s strength and determination. “It represents all of the extra love and joy her brother, sister, Mummy and Daddy will experience by having her in their lives for longer. “It is beautiful, because she is beautiful. “Currently we’d like it to just finish healing so she can get back to splashing in the bath, and on with the next stage of her development. In time it might help her connect with people who have had similar experiences to her – in the same way her Down’s Syndrome has led us to discover a fabulous community offering a very warm, friendly welcome. Daddy Malpi has a scar on his hand from a knife cut that happened when he was working as a butcher whilst studying at university. Mummy has a scar under her chin when she slipped and fell in one of her primary school classrooms, one on the back of one hand where some medication burnt her skin and a c-section scar from the emergency procedure that welcomed our eldest mini into the world. What part of your story is written on your skin? In the spring of 2017, at just a few months old, Faith was signed by new talent agency Zebedee Management. As well as obviously having impeccable taste, the two driving forces behind the company – Laura Johnson and Zoe Proctor – are truly inspirational. Building a business from scratch in a notoriously difficult industry, with the aim to increase the representation of people with disabilities in fashion and the media, in just their first year they have already helped their talent work with such household names as Disney, the BBC, River Island, Matalan and Mothercare. Being such a mini model, Faith requires regular updates to her portfolio to capture how quickly she’s growing and changing. She missed the last regional group photoshoot when her heart operation was suddenly brought forward so we were really grateful when Lincolnshire photographer Chris Waud offered Zebedee models the chance for a portfolio update in his Market Rasen studio. As you can see, she had a great time and Chris managed to capture a cheeky glint in her eye too. He also won over Faith’s big brother and sister who never need much encouragement to perform for the lens and wanted to get in on the act too. I know I’m slightly biased but I think they all scrub up rather nicely! To book a Zebedee model or find out more about who they represent, visit the agency’s website at www.zebedeemanagement.co.uk and follow #teamzebedee on Instagram. They say you shouldn’t compare. But it’s really hard not to isn’t it? I would’ve thought that we’d have been used to it after Luke decided to set his own schedule when it came to milestones but I can’t pretend it’s not still difficult. Whenever it’s just us and I can see Faith’s individual progress, it’s fine. Then I see another baby of a similar age and it’s not as easy. At just one year old I’m not sure we’re far enough into this journey together for me to be able to answer this month’s prompt with any surety. Whenever any of your children achieves something it makes your heart swell but the harder someone tries to do something the greater the resulting celebration and I know when Faith reaches a milestone it comes with a whole bucket load of relief too. For now I remind myself that life is not a race that you want to finish first, that everyone has their own strengths and weaknesses that may change and develop over time, hope that she’ll never need open heart surgery again and let my heart swell threefold everytime she shares a smile or giggle with us. When my three year old is asked to choose just one thing she really struggles. If she picks up wrist bells from a group’s music box she has to have at least four, one for each wrist and ankle and preferably a few more in her hands as well. One item from the songbag becomes a pile in front of my feet. One toy from the shop usually translates as a minimum of one for each hand. It turns out she might get it from me. When I first thought about the Down Syndrome Bloggers Network group’s December prompt what one intangible gift I would give to my children a whole list quickly formed in my mind. 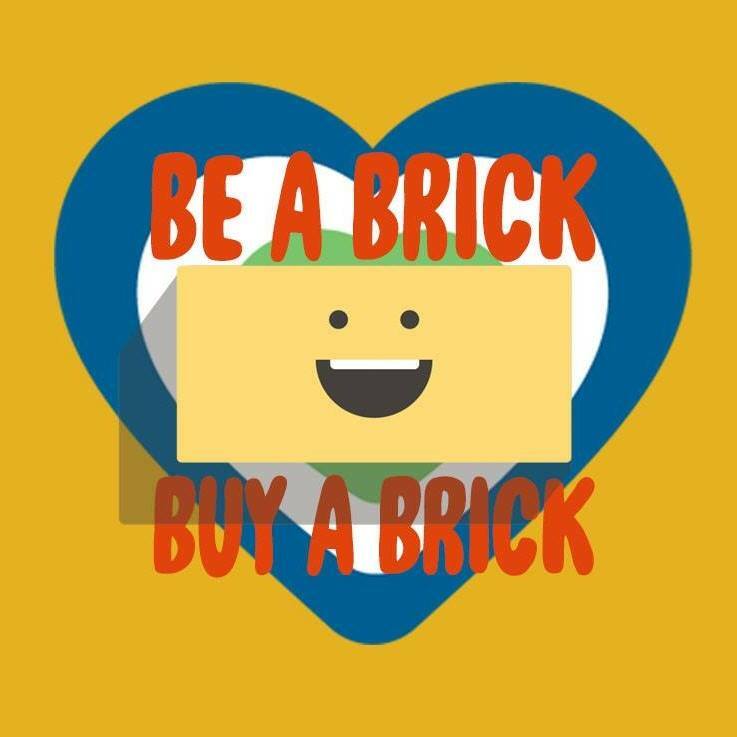 It’s quite normal to have lots of hopes and dreams for your children’s future and, whilst you bemoan how quickly the time goes, you also want to fast forward to see the adult they’ll become and the results of the paths they will choose and whether or not they take any notice of any of the signposts you indicate along the way. I guess when you have a disabled child those aspirations become slightly coloured, assumptions underlying them unsettled. I know that Faith may require an extra dose of all the strengths you wish for any child. Determination is key and fortunately Faith is currently displaying no shortage of this. If the road to success is trying hard then, even if she takes a little longer than typical, she’s sure to reach her goal. But, as we head towards the time of year that celebrates peace, perhaps we should focus on the present rather than projecting ourselves into crystal ball imaginings. So I will choose patience as the gift I would procure for her if I could. Patience with herself, patience with a society that seems obsessed with pushing forward when we could be enjoying the moment, patience with people who don’t always show the kindness they should to those of differing abilities they lack the understanding of and patience with her mother as she learns to navigate this new world alongside her. And maybe if I manage to get enough patience for her, a little bit could rub off on me too. I have recently joined a Down Syndrome Bloggers Network group who have decided to link up together writing to a monthly prompt. In honour of the American members of the network and their national Thanksgiving holiday this week the first theme is “thankful”. We are very blessed to have Faith in our lives and I am thankful for many things her arrival brought with it including the friendly community that have extended us an immediate warm welcome. The Lincolnshire Down’s Syndrome Support Group had just started a new scheme around the time of her birth – Harrison’s Hampers – and we were one of its first recipients. Here LDSSG trustee and secretary Emma Hall explains how the idea for the project was formed. Harrison has inspired a project in his name that helps celebrate the birth of babies with Down’s Syndrome. When I look back it was after that moment when the doctors and nurses gave us the conclusive news at two days old, that Harrison did have Down’s Syndrome. When they left the room we felt completely lost, alone and overwhelmed with questions that in our heads sounded silly but we needed answering. After four months, by chance and social circles, we met Eileen and Pete who are parents to Niall, also with Down’s Syndrome. The relief we felt after chatting to them and airing our ‘silly questions’ was really encouraging. It was also through them that we then found out about the Lincolnshire Down’s Syndrome Support Group. Since joining the LDSSG and hearing many other parents share their stories and maternity experiences, it became clear that the delivery of how our parents are first told about their babies’ diagnosis of Down’s Syndrome is very different! It was then that Harrison’s Hampers came about. Myself and Terry had always wanted to do something to support Lincoln County Hospital after how well they cared for myself and Harrison after his birth and we realised that we could provide the medical staff with a hamper to give to other new parents, celebrating the birth of their baby and which could also signpost them to the LDSSG, when/if they felt ready to meet other families in a similar situation. The name for the project was easy, our little boy is called Harrison and the teacher in me loves a bit of alliteration so Harrison’s Hampers it was! We’re aiming to do away with negativity! It is a rollercoaster of emotions, being told your baby has a syndrome and depending on how this news is delivered to you can affect how you deal with it. My biggest aim at present is to get the Harrison’s Hampers in to the Lincolnshire hospitals with maternity services, Lincoln County and Boston Pilgrim. I want the maternity units to be able to gift them to the new parents as and when the time is right during their stay as this would be more immediate and uplifting at a time when they may need it most. However this also needs to be done sensitively and respectfully which I would like the medical staff to consider as it may need to be done differently every time! When planning the contents of the hampers I wanted to make sure there was something for the whole family so there are items for the baby (clothing/toys), for siblings there is Hayley Goleniowska’s book I Love You Natty which is actually written by Hayley’s older daughter and the fun she has with her younger daughter Natty who has Down’s Syndrome. For the parents there are toiletries, the LDSSG leaflet which tells them all about what we do in our local community and how we support our families and a homemade card just to say congratulations which includes a picture of our little Harrison. The latest addition to the hampers are beautiful, handmade, patchwork baby blankets which were kindly made and donated by volunteer organisation Project Linus UK. My main aim was to keep all the business that supported the Harrison’s Hampers local, within Lincolnshire. Luckily I have found most local business and crafters really supportive and keen to be involved. I always include their business cards to advertise and support them in return. Some items are generously donated and some are heavily discounted without negotiation! I am about to make my next 10 Harrison’s Hampers and I am on the lookout for even more ideas for content within lovely Lincolnshire, so do please get in touch if you know of a local business that could donate items or you think would like to be involved. The Kavannaghs were also one of the first recipients of a Harrison’s Hamper for their beautiful daughter Connie. The hampers that have been given out have been extremely well received by the whole family. It’s great to be able to give something positive and informative at what can be an emotional time. It’s also important to add that the LDSSG fund the Harrison’s Hampers as part of their fantastic ongoing commitment, right from the start, to all our members and their families across Lincolnshire. As one of the first recipients of a Harrison’s Hamper we were thankful for the warmth behind all the donated items included and the focus on simply welcoming a new life. But we were especially thankful for the inclusion of Goleniowska’s book and Harrison’s homemade card – an introduction to families for who our new normal has not just been normal for years for them but enjoyable and celebratory. To find out more about Harrison’s Hampers visit their Facebook page here. To find out more about the Lincolnshire Down’s Syndrome Support Group click here. Can you help Emma fill the next 10 Harrison’s Hampers? Email me at hello@theminimalpi.co.uk, she’d be very thankful! Cedar’s Story – I Am Thankful for Down Syndrome blog and YouTube Thankful compilation. Bean Post Farmstead – Thankful for Down Syndrome?